Web Design & Development from Savio Designs! From creating simple web pages to full online stores, Savio Designs can deliver a Web Site perfect for your needs, and budget! Each of our web sites comes with a Content Management System (CMS) that will allow you to easily control and update the content of your site! No more pricey update charges or monthly webmaster costs. The power to update your site is yours! First time to starting a web site? Check out our article on "The Basics of Setting Up a Web Site" by clicking here! When you have Savio Designs create a Web Site for you, it is important to know what the process is! The first part will involve us getting to know your needs, followed by supplying you with one or more quotes detailing different options and breaking down the costs so you know what you will be getting and what you are paying for! Once the quote is approved and the deposit is paid, work will begin! We will create a design sample for you to look at. During this design stage it is important that you are brutally honest with us! Tell us what you like, but more importantly what you don't like, so that we can make changes until you are satisfied. This "Design Stage" is dependent on how many revisions we do for you. We usually are able to supply a first concept between 2-3 business days once the quote is approved and deposit is paid. Once, and only once, you are fully satisfied on the design (look) of the site, we will begin the coding and integration of the Content Management System and any Add-on Modules. After final design approval we will get to work with all the background stuff. At this point (and really all through out this process) you should be putting together the content for your site - what you want on each of the pages. That way once all the coding is done on our end, we can easily copy and paste your content and go live! Never again have to worry about how much it will cost for you to update your website's content! From updating text, adding pictures, YouTube Videos, and even additional pages, you will be able to keep your site current and up to date! If you can write an e-mail, you will be able to update your website! 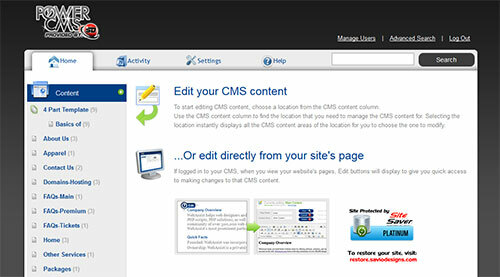 See a demo of our content management system by clicking here. If you prefer, we can also develop your website using the popular WordPress Platform. Of course, if you are intimidated about updating your site's content, we also provide optional support and update plans for a reasonable fee. Having a Website Developed takes quite a few steps. Good communication is key to getting it done in a timely manner! Our Client Portal is your one stop place for all project communication, files, invoices, receipts, and more! No longer do you have to search your e-mail box for hours looking for your project communication! 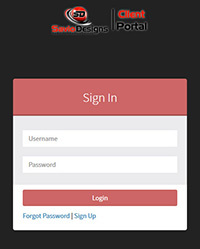 You can visit our Client portal at: https://client.saviodesigns.com. Just because your site is done and paid for doesn't mean your questions will end! 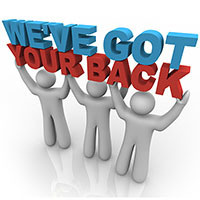 At Savio Designs we offer a variety of ongoing support options, from Support Videos to Remote Support, we want to make sure you are taken care of! Visit our support center at https://support.saviodesigns.com to see all of our support options!